All of our coaches are of “Neoplan” and "EVOBUS" make and they are licensed for international passenger transportation. 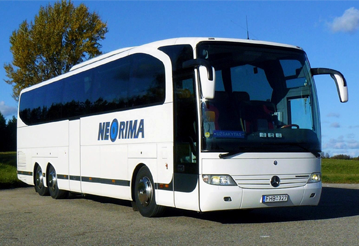 All our buses meet 4 or 5 stars in comfort classification based on IRU system. 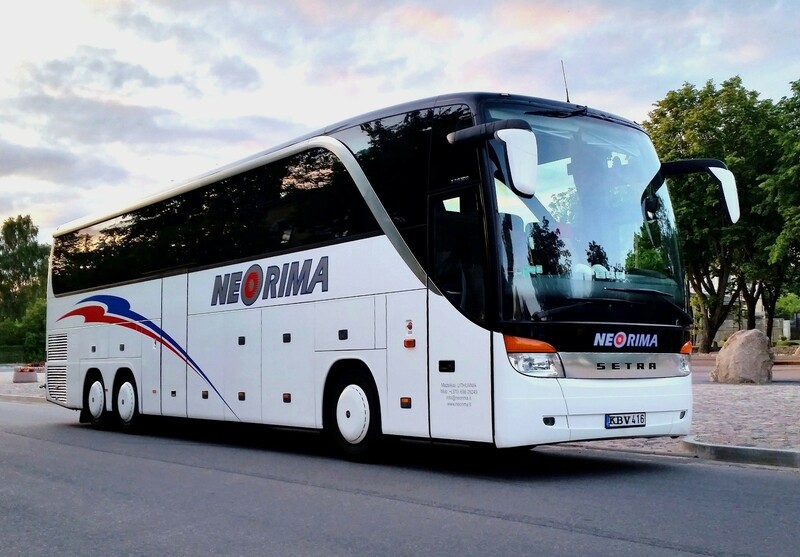 We transport our passengers only with comfortable buses, which are well equipped for a pleasant and comfortable journey (air-conditioning, audio and video systems, mini bar, refrigerator, microwave, WC). Your safe and carefree trip is guaranteed by our courteous drivers who are not only highly qualified but also have a lot of experience in working with passenger transportation business. 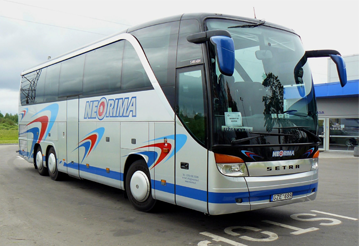 Moreover, we keep pride in maintaining our buses and making sure that they always meet high technical standards. Travel price is calculated from passengers' pick-up location! !